Customer experience is a tricky, ephemeral item with the utmost importance to any retailer (online, bricks-and-mortar, and both). Part of why customer experience is so difficult to nail down is, first, that it’s never static in time, but instead the definition of what a ‘great customer experience is’ is always evolving. Second, customer experience may start in one place only to end in a very different one. A customer may start their customer journey on Google or your site, but ultimately fulfill their customer journey at a mailbox, at their front door — or back online again. Customer experience is also not exclusive to ecommerce — even though online customer experience is a trend etailers are very focused on these days. But customer experience is important to all industries at all customer touchpoints, so much so that sometimes we forget about the real, physical customer and their journey in the bricks-and-mortar world. The customer experience that begins in a store and intersects with the online world is a very important journey to master, but is one where the customer experience does not get discussed in as much detail as the experience that starts online and ends in the real world. The story we recount below outlines one such experience. Centered around a big name in pharmaceutical retail in Southern Ontario (which we have decided to redact for this article), the story below details how customer expectations set by the brand were not met by the technology and in-store services mean to support a seamless customer experience. Ultimately, the customer experience was irrevocably damaged, leaving a distinct negative impression of the brand in the customer’s mind. This editorial is a first-hand account based on a recent experience I had with a popular pharmacy chain. My goal: to refill a prescription. A seemingly simple routine task that quickly devolved into frustration, lost time, and an ultimately infuriating and confusing customer experience. I recently moved to a new city. As part of my move, I knew I would have to find a local pharmacy branch to refill my prescriptions. This was no issue (or so I initially thought) as my chosen pharmacy had locations across Southern Ontario. Approaching my new local location, I explained to the pharmacy that I had just moved and I would like to use their location as my new primary pharmacy location. I was able to make this change with a single phone call. All was well. But this one particular location of this pharmacy chain has a downfall. It closes at 6 PM daily — including weekends. This is not the most convenient for me, nor would I assume that these hours are convenient for most patrons of this location who commute or work standard business operating hours. I myself have a commute that puts me in traffic alongside a good amount of GTA traffic, and being home (or at the pharmacy) before 6 PM is a rare occurrence. But I only have to refill most of my prescriptions once every 3 months. Thinking it through, it wouldn’t be too much of a hardship to make sure I refill my prescriptions on the weekend when I have some spare time. …Right? Not surprisingly, the day came when I didn’t have spare time. Saturday, June 30th: I ventured into my local pharmacy, full well within their operating hours to refill my prescriptions. The attendant behind the counter told me that my year-long prescription was up, and that I needed to renew it via my GP. Renewing prescriptions is usually not a problem for me and many other Ontarians; usually, the pharmacy simply contacts my GP and they confirm a renewal. But unfortunately for me, I happened to wander in for my prescription renewal on the Canada Day long weekend. My GP and the pharmacy would not be able to renew or fill my prescription until the coming Tuesday. “Not the end of the world, though,” I thought. The pharmacy left a message with my GP and instructed me to confirm the renewal with my doctor Tuesday morning, and I went on my way. Tuesday, July 3rd: I called my GP on Tuesday morning as the pharmacy had directed. They had already renewed the prescription for me, and with any luck the pharmacy would have it ready for me shortly. But I realized with annoyance that I would not make it to my pharmacy by it’s 6 o’clock closing time — Tuesday was a usual workday for me. I had a brainstorm — this was a very common pharmacy chain in Southern Ontario, after all — so I called my pharmacy. I asked, “Can I pick up my prescription at another one of your locations?” If I could pick up my prescription from any location on my way home instead of racing the clock to see if I could make it to my home pharmacy, my customer journey would be severely improved. So, in speaking to my home pharmacy, I explained that this particular medication must be taken on a certain day. With the delay from the weekend, that day happened to be today. “No problem,” they said. Things were looking up. But as life goes, this particular Tuesday was extremely busy for me and I didn’t make it to another pharmacy location until almost 10 pm. I went to the counter of this branch of this pharmacy chain and explained what I needed. I assumed that my name, prescription and the renewal confirmation was in their system, and that I would wait less than 10 minutes for it to be filled and be on my way. I was beyond wrong. The pharmacist at this particular location explained to me that they did not, in fact, have any information on me or my prescription. To fill my prescription, this branch needed to physically call my primary pharmacy who then had to fax confirmation of my identity, prescription and renewal to this location. And my home pharmacy was, of course, already closed. I was left high and dry with no prescription in hand, wondering what in the world happened to leave me in this predicament. My customer expectations had been wholly violated. I was stunned. I realized that this almost ubiquitous pharmacy chain with dozens of locations in almost every town across Southern Ontario did not have a centralized customer database. It had zero visibility on its customers from one location to the next. The only communication between locations was clearly relegated to 1990’s modes of communication like phone and fax. Considering that all locations have different operational hours, communication is clearly impossible between one location that is open and one that’s already shuttered for the night. This completely hamstrings another location from doing their core job: filling prescriptions. …Still Tuesday, July 3rd, 10:30 pm: In my realization that this well-trusted pharmacy brand had the biggest lack of integration I’d ever seen despite their marketing campaigns of late promising that I could pick up my prescription from any location (the fine print was an interesting read), I asked the pharmacist what on earth I should do now? This medication needed to be taken today (at worst, tomorrow), and my primary pharmacy location was closed. I wouldn’t be able to get there tomorrow, either, due to their inconvenient weekday hours. The pharmacist instructed me that there was nothing I could do at this moment — and urged me to go to the Emergency Room of my local hospital to get another prescription, to then return to the pharmacy by 12 AM (when this branch closed). If you live in southwestern Ontario and have visited an emergency room in the past 25 years, you know what a ridiculous suggestion this was. (If you do not, here’s a summary: extremely long wait times). I politely thanked the pharmacist for all of her help (as Canadians do when they are completely inconvenienced), and I went home and wrote off the day as a bad one. Wednesday, July 4th: After sleeping on my predicament, there was really only one workaround for my problem. As I was unable to make it to my primary pharmacy during working hours, I would have to go to a third pharmacy location (still under the same brand name as the others) near my office on my lunch hour so they could connect with my primary pharmacy and fill my prescription. As I explained my situation to a third pharmacist, she had to make sure she even had my prescription drug available at her location. Yet another red flag in a now long line of red flags, to be sure. She also explained to me that you cannot just ask another pharmacy for a particular prescription to be confirmed and sent over. This completely flew in the face of my assumptions as a customer as told to me by the brand’s marketing materials and my own notions of common sense and what a customer experience in 2018 should be with a major digital and physical brand like this pharmacy chain. In reality, to pick up my prescription at a different location of the same chain of pharmacies, my entire file that included all my information had to be sent over and confirmed by me so that this location became my primary pharmacy. That’s right, I had to essentially become a customer of any particular branch of this pharmacy chain in advance in order for them to fill a single prescription, whereas I had been lead to believe that this chain was a unified, integrated entity. And, even more ridiculous, I would have to switch my main pharmacy in their systems back to the one closest to my home — my actual home pharmacy. This all seemed absurd, but I had no choice other than to spend the better part of my lunch hour giving all my information to this location. Finally, after work, I picked up my much-delayed and necessary medication. Now for some, I realize that this whole experience might seem like a trivial first-world inconvenience. And indeed in my case, it was, but this tale includes some pretty important lessons for B2B and B2C multichannel brands looking to master the customer experience, full stop. My story speaks to a fundamental disconnect between customer expectations and the customer journey for this pharmacy brand. Regardless of what your business does or sells, the intersection of expectations and the actual customer journey is something that’s universal to almost any business: after all, who doesn’t want their customers’ journeys to be just that little bit better at all touchpoints? There are, of course, some severe implications on the customer journey I experienced with this pharmaceutical chain, and in fact potentially for the whole vertical itself. As many people know, the healthcare system is a point of pride in Canada. Although the system is far from perfect, the fulfillment of many patient-doctor interactions — picking up your medication — is falling short via our pharmacy and drug care services. I don’t need to explain what would happen to someone who needed life-saving medication if they were in a situation like mine. A simple combination of a long weekend, inconvenient hours and a busy business day could prevent someone from accessing the medication they need and could cause serious health complications. But back to the broader issue at hand: customer experience expectations versus the actual journey many of us have, and what happens when the two collide instead of meshing seamlessly together. Like many, I’ve come to expect an integrated experience from most of my services. I buy clothes online, and when I need to return an item I simply walk into any brick-and-mortar store and return it. Based on a receipt or a simple search, these multichannel retailers are able to pull up all of my customer information at a moment’s notice from any point of sale, including details like my order numbers and previous purchases. Loyalty programs collect and transfer points from completely different stores; they can be redeemed at the click of a button. Is it too middle-class of me to expect my prescription drugs to have the same unified customer journey? It is important to note that this pharmaceutical company does run in a franchise-structure. Pharmacists can become Associate-Owners of the franchise and gain equity in the profits of the business. But the pharmacy chain itself has a split identity between the ‘front of the house’ where customers can buy makeup, non-prescription drugs, and other goods, and the ‘back of the house’ where prescription drugs can be purchased. The two are unified under the same brand identity, extending into customer experience expectations, yet the rules for the experience between the two halves of the business are clearly not the same. This structure, though perhaps less usual in traditional retail and CPG, still does not explain why this pharmacy chain is operating with clear and defined siloization. They are a unified brand, very much like Tim Horton’s, with 100s of locations that are still operating in complete isolation from each other for their pharmaceutical services. This siloization is not only creating a painful, frustrating customer experience, it could very well prevent the treatment and relief of serious medical conditions. There are a number of applications, technology, solutions, and partners that could have come to the aid of this pharmacy chain well before my terrible customer journey came about. First, having a centralized database (like a CRM) with all customers, records, and information across all locations could alleviate the tedium of the customer experience. The standard for customers is a unified brand experience where convenience is paramount. Second, having a single, centralized system that allows each location to stock up on the medications that are needed for the customers living in their communities via a fully integrated ERP or similar system would allow for a greater depth of visibility in stock at all locations while also automating procurement on stock that is running low. This would provide the pharmacists with the right tools to help their customers without delay and backlog. 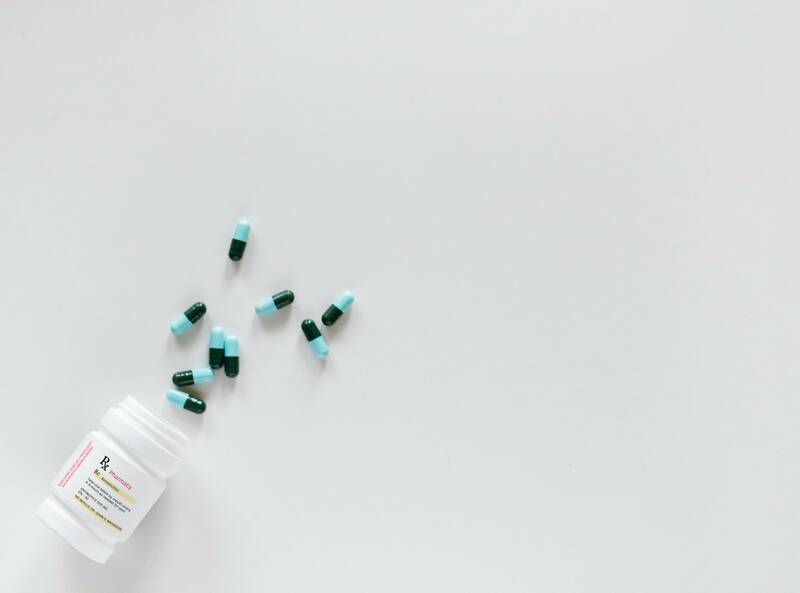 In digesting and investigating my experience with this pharmacy, I discovered a disconnect between the brand’s marketing efforts and my experience, doubling down on my confusion. This pharmacy has a strong marketing presence. In their marketing campaigns of late, this particular pharmacy presents itself as unified brand that is an accessible one-stop shop, not specifying the disconnect between the retail half of the business and the pharmaceutical half of the business. This is clearly not the case. Instead, this sets a precedent of expectation with their customer base, leading them right down the primrose path I had just journeyed. But in the interest of being thorough, I did explore the brand’s online offerings. There are some big claims made by the company about the ability to get refills and a prescription history via an online account. While it’s presented as a unified system, I ran into the same problems in this digital experience as I did in store. 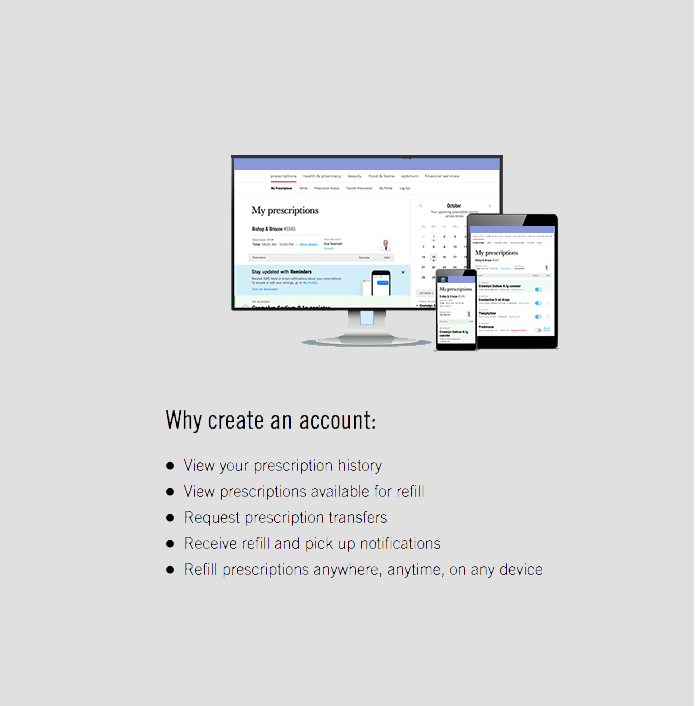 Setting up an account requires information that requires a customer to again select their ‘home’ location, and customers are still not able to pick up their prescriptions from any location, again showing the lack of internal integration and proper systems and processes at the pharmacy level online, as well as offline. Many prescriptions, I also discovered, are not able to be filled through this online portal, requiring the customer to go back in-store (so much for convenience). This shows a fractured customer experience between the front of house and pharmacy both in-store and online. Clearly, this pharma brand is way behind what the multichannel retail space is accomplishing. A complete overhaul of this system would take time and money, but the cost of not making improvements is a customer base left feeling abandoned and mislead by the brand via this disjoint customer experience at all touchpoints. It is absolutely possible to create a safe, secure, and fully automated and integrated pharmaceutical or healthcare system — we would know, because VL OMNI has done it! Keeping the customer experience in the stone-age with fax machines and telephone calls constrained by operating hours is not what we should settle for. Customer experience is the watch word for every business competing for our dollars. Although this story has been centered on the pharmaceutical vertical, there should be no distinction between what we’ve come to expect and value in our customer journey through our ecommerce purchases. This industry is ripe for disruption for better data integrations that move in ways that matter to the business they’ve been configured for, centralized databases, and better application technology that could (and does) inform every location of a brand with essential customer (or patient) information. This experience is another clear example that in any industry and any vertical, back-end systems must be fully integrated and match marketing promises and customer expectations. There is a new standard that we, as loyal customers, have come to expect and demand. The customer experience and journey should not be fractured by isolated and out-of-date systems. Is this a pipe-dream? Or as Canadians should be demand better from our pharma-care?